One of the best things about getting into fitness is that it usually leads to other health goals. Don’t think that healthy living is only for young people, either. Seniors are people who can benefit most from taking a more active role in their health. With these healthy living goals, you can improve your quality of life, both physically and mentally, well into your senior years. It’s common to fear that you will lose your independence later in life, and for good reason. After all, independent living is a huge factor that affects our emotional well-being. As much as you want to continue living life on your own terms, it’s just as important to do so safely. To ensure you can stay safe at home, start taking precautions now, such as researching technology designed for senior safety. One example is to use a medical alert system that monitors people who have limited mobility. These systems vastly improve your quality of life by giving you and your loved one’s peace of mind that you can always get help if needed. Consumers Advocate is a great resource for information about the best medical alert systems you can find. Another way you can work toward staying independent at home is to reduce your risk of falls. Falling is the greatest safety risk for older adults, but you can reduce your risk by increasing your strength and balance. Yoga and Pilates are two of the best exercises you can do because they strengthen your core and help you develop balance. You can also do simple activities at home, like these recommended exercises from US News. Along with exercise, getting the right nutrition is another way to reduce your risk of falls and maintain overall health (not to mention, boost energy). If you have any special dietary needs, such as lowering cholesterol or managing diabetes, it’s crucial to stick to those guidelines. Special considerations aside, all older adults have specific nutritional needs that are a little more important than when you were younger. For example, you should eat foods high in calcium to strengthen bones, as well as foods with vitamin C, which is an antioxidant that helps prevent disease and repairs bones and teeth. Getting all the nutrients you need can be a challenge, so it helps to develop some strategies to make healthy eating easier. The Silver Sneakers blog has some great nutrition tips, such as getting protein in the morning by making a shake (with plenty of fruit and milk for calcium). They also suggest prepping your own healthy and simple microwave meals once a week, which is ideal for those who like convenience foods. All of these habits will help you stay healthier during your senior years, but it’s still important to keep up with preventive health checks. Regular checkups, screenings, and vaccinations for things like flu and pneumonia can keep you healthier for longer. Screenings also mean you can take charge of your healthcare and manage any medical conditions. Along with the bigger things to watch out for, simple screenings such as having a vision checkup can help you continue enjoying the same quality of life you’re used to. Maintaining a great quality of life as a senior isn’t only about your physical health. After all, why do you want to stay well physically if not to do the things you love? If you aren’t sure what those things may be, now is the perfect time to try something new. 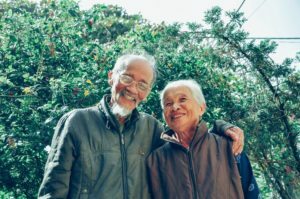 According to Verywell Health, finding a sense of purpose, whether through volunteering, spending time with family, or doing a hobby, may be a key to living a fuller, longer life. It’s never too late to set new goals. You are in charge of your health, so make it your goal to adopt these healthy habits now. You deserve to live life to the fullest in your senior years, and these healthy habits are your ticket to making it happen.